My name is Felicia Carter, and I am proud to say that I am your Community College of Philadelphia Alumni Association president. I come to you having more than 15 years of communications and project management experience within the health care industry, along with running my own travel agency. Balancing all of my personal endeavors is tough at times, but Community College of Philadelphia has equipped me with the tools to succeed at anything I set my mind to. I am sure it has done the same for you. As we unite to grow our Alumni Association, the Alumni Council is working on bettering our communications with you and creating more fun-filled events for the coming year. In 2014, we sent out a survey to alumni to find out what you wanted in events and how we can better communicate with you. We were delighted by the results. After reviewing the responses, we created a line of events that focused on what YOU wanted: professional development, networking socials, cultural awareness events and community service days. We also re-launched our Facebook page and created this quarterly newsletter to ensure that you always stay connected to us. I could not be more excited to be a part of this dedicated, thriving community, and what it holds for us for the future. My goal is to empower alumni pride, passion and appreciation; keep in communication and to give back to Community College of Philadelphia. Joining the Alumni Association has its privileges, and we aim to make it great! Thank you for allowing me the opportunity to serve as your Alumni Association president. If you are not yet a member of the Alumni Association and would like to be a part of this flourishing group, we invite you to learn more about our benefits and services. When you talk about perseverance and determination, you have to place Charles King, ’05, in the conversation. This alumnus is a Special Olympics record holder in the category of powerlifting and bench pressing. 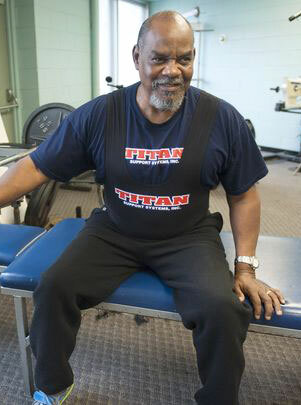 His claim to fame was deadlifting an astounding 407 pounds in 2012 while over the age of 60. But despite that great achievement, things were not easy for Charles. While a student at Community College of Philadelphia, he was homeless, legally blind in both eyes and diagnosed with cancer. Despite the trials he faced, he never gave up. He used each trial as a stepping stone to a much more positive future. Phoebe Henninger, ’15, studied Liberal Arts – Social/Behavioral Science. 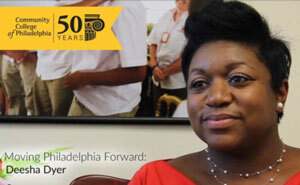 She is one of our select alumni to make the ambitious jump from Community College of Philadelphia to the Ivy League. She currently attends the University of Pennsylvania, where she is studying Political Science with a concentration in American Government. Upon graduating, she hopes to pursue her Ph.D. in Political Science and conduct research in the field of political behavior. 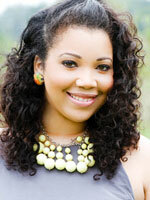 Erika Lawrence, ’14, graduated from Community College of Philadelphia with a degree in Marketing. While at the College, Lawrence held many leadership positions. She served as treasurer for the Student Government Association during 2014 and as president of Alpha Beta Gamma International Business Honor Society while interning for Goldman Sachs 10,000 Small Businesses. Lawrence, now a senior at La Salle University, has continued on her path as a distinguished student, putting to use the skills she developed to secure a competitive internship at the Federal Reserve Bank of Chicago last summer. She plans to graduate this December and enter into the business sector. 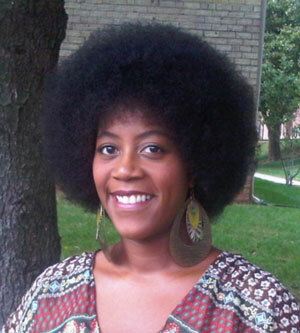 Rainah Chambliss, ’13, has found a home at Community College of Philadelphia. 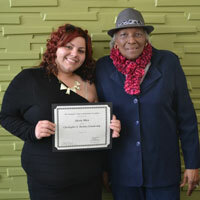 After graduating with a degree in Business, she began work in the College’s Office of Workforce and Economic Innovation. She served as an alumni speaker at the Community College of Philadelphia’s 2014 Women’s Leadership Conference and participated in the 2013-2014 Leadership Institute. Chambliss has demonstrated a passion for leadership and stellar scholarship. She is currently a senior at Temple University, and has been recognized as a member of the National Society for Leadership and a Golden Key International Honor Society member. 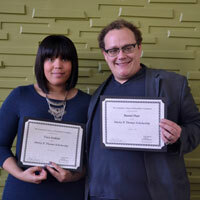 She was also chosen as a finalist to be the graduation speaker of Temple University’s School of Media and Communication. Fredrick Soejanto, ’12, earned associate’s degrees in Liberal Arts – Religious Studies and Social/Behavioral Science. After completing his education, Soejanto made a commitment to serve in the United States Army. He holds the position of Unit Administrator for the 424 Medical Battalion and serves as a medical logistics sergeant for the 341st Medical Logistics Company. In his latest embodiment of leadership, Soejanto collaborated with the Red Cross military division to assist in the scheduling, managing and issuing of medics to help the Red Cross during the 2015 papal visit. 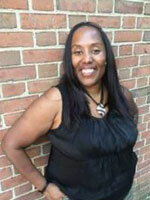 Ravyn Davis, assistant professor of English, started teaching at Community College of Philadelphia in 2010. She teaches English 101,102 and 108, as well as Women’s Studies 101. She earned a Bachelor of Liberal Arts Studies from the University of Memphis, a Master of Arts in Literature from the University of Missouri-Columbia and has completed all but a dissertation on a Ph.D. from the University of Mississippi. Davis served as a Teacher in Residence in the College’s Faculty Center for Teaching and Learning. 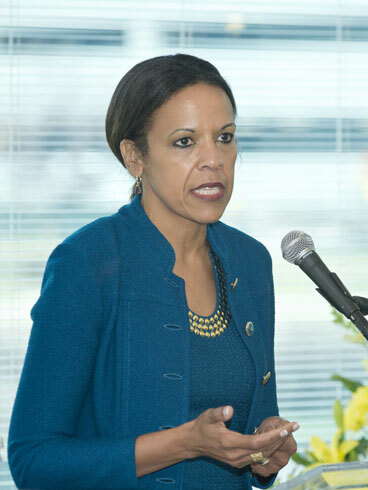 She is involved with the Center for International Understanding, which has allowed her to participate in the University of Hawaii’s East-West Center’s Infusing Institute on China and Japan. She is currently a regional coordinator through her involvement in a Student-Faculty International Fellowship Program, which will allow her to travel to Tanzania in June 2016 as part of a study abroad program. 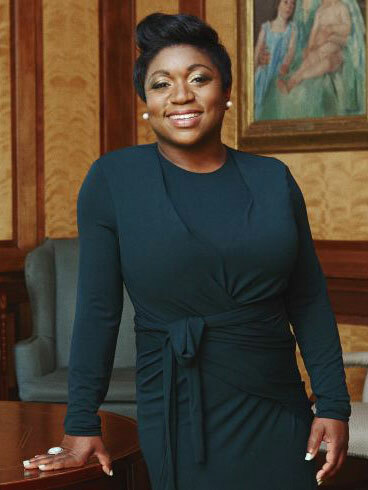 Davis has received multiple awards for her work, including Educator of the Year by the Phi Beta Sigma Fraternity at the University of Mississippi in 2007, the “Shakey” Yates Teaching Award in 2008 by the English Department at the University of Mississippi, and she was inducted as an Honorary Member of the Malcolm X Institute of Black Studies at Wabash College in 2008-2009. The Alumni Association held its first fundraising event, the 2016 Black and Gold Awards, on April 20. 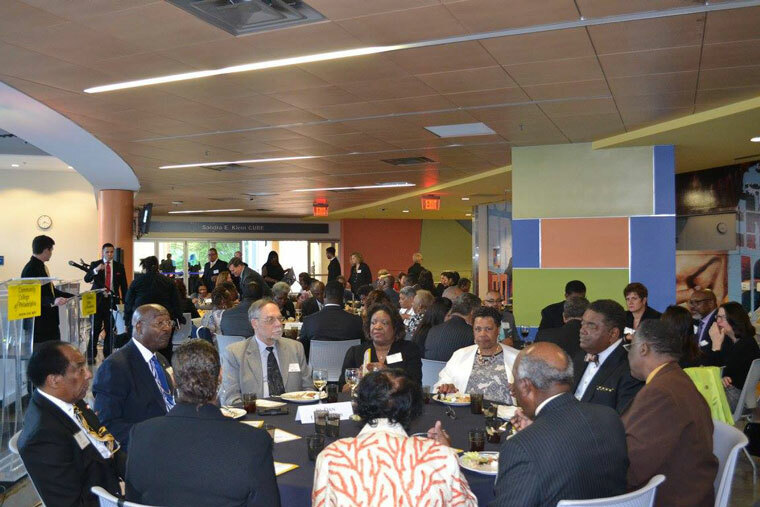 Held in the Pavilion Building on Main Campus, we welcomed more than 110 guests. The Association was pleased to honor Napoleon Garcia, VI, Impacto Latin Newspaper Publisher, with the Community Hero Award; Rev. Dr. John A. Dawkins, III, Jo-Dan Enterprises CEO and McDonald’s Operator, with the Corporate Leadership Award; and Jerome Mitchell, ’80, RJ Mitchell Group Principal Partner, with the Alumni Lifetime Achievement Award. With the help of our honorees and the Black and Gold Committee, the event raised more than $10,000. 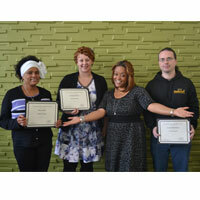 Proceeds from the event went toward scholarships and alumni activities. Check out some of the event pictures. 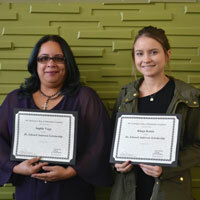 Three successful entrepreneurs and alumni of the College spoke to students, fellow alumni, faculty and staff about how to be your own boss on April 12. 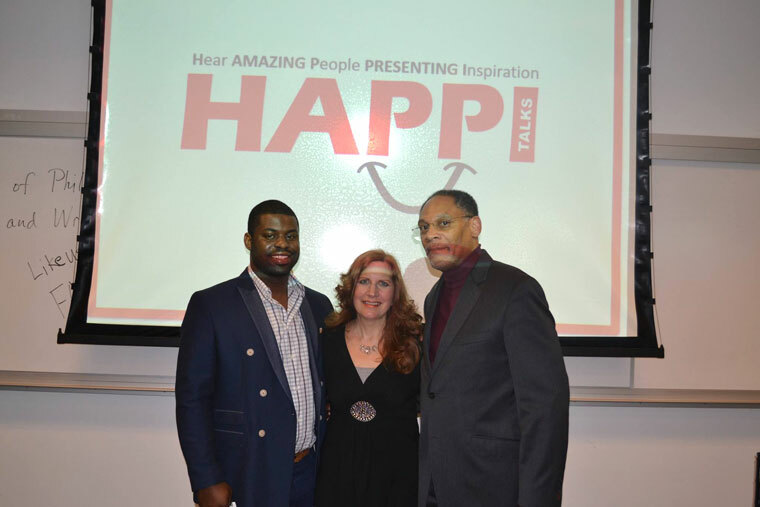 Chet Riddick, ’77, CEO of Alpha Enterprise Group; Darrell Dorsey, ‘10, CEO of Dorsey Investments; and Mindy Solkin, ’74, CEO of The Running Center each discussed their personal journey and the difficulties along the way toward business success. Check out some of the event pictures. 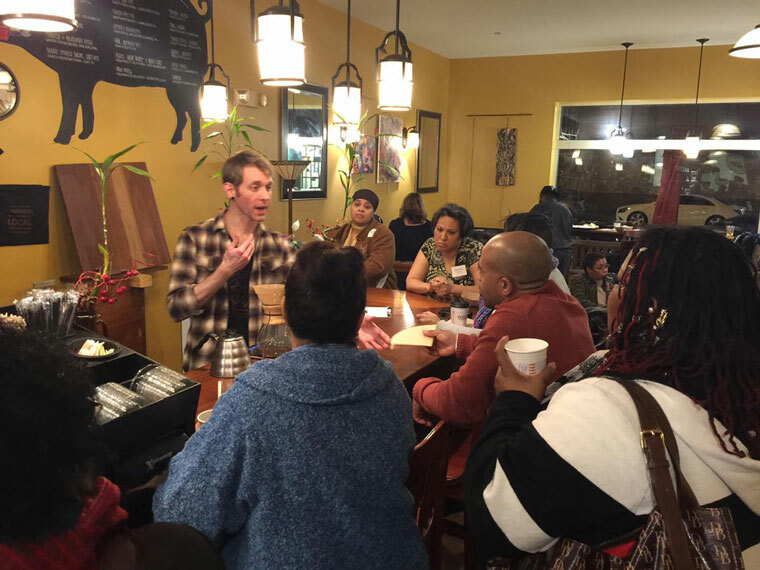 Our alumni took over Mugshots Coffeehouse on Jan. 20 to experience some fun and networking while taking an educational trip to caffeine paradise. Alumni enjoyed a brewing presentation by Eric, the coffee barista, who demonstrated the drip brewing process. We even had two alumni members reunite for the first time since high school. Goes to show you that a little coffee at an alumni event can rekindle great memories and bring us all together! Check out some event pictures. 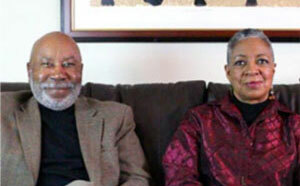 Shirley P. Thomas, ’77, established the Shirley P. Thomas Scholarship in 2010 to provide funding to nontraditional students who have delayed or interrupted their education. Richard S. Downs, ’67, established the Dr. Edward Anderson scholarship to support students pursing business-related majors. Dr. Anderson was highly regarded for his many talents and contributions to the College as an educator, administrator, entrepreneur, marketing expert and artist. It was Dr. Anderson’s devotion to his students in the role of educator that inspired this scholarship in his honor. Christopher L. Baskins was a graduate of Community College of Philadelphia and an active participant in community service. After his sudden passing in 2013, his mother, Mrs. Joyce Baskins, established the scholarship to recognize a student active in community and volunteer service. 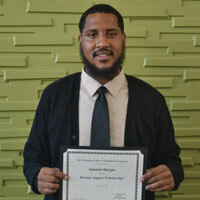 The Reentry Support Scholarship was established by Craig Stock, a Foundation boardmember, to assist citizens enrolled in the Reentry Support Project. The program provides academic and workforce-oriented projects, resources, and services that contribute to students’ secondary education and community reintegration success. PECO Energy awards 50 Community College of Philadelphia students pursuing STEM (Science, Technology, Engineering, Math) majors with tuition support through the PECO Scholars Program. The Annual Fund is a special giving campaign where College staff, faculty, employees and alumni have the opportunity to give back and support the mission of the College. The money raised from the Annual Fund campaign helps fund scholarships and other tuition assistance, including the 50th Anniversary Scholars Program, a scholarship that provides eligible Philadelphia high school graduates with the chance to pursue their associate’s degree at Community College of Philadelphia with no cost for tuition and fees. This year, the Annual Fund raised more than $85,000 toward this effort. Learn more about the 50th Anniversary Scholars program or donate to the Annual Fund and be a part of this tremendous initiative. Did you move? Are you married or recently engaged? Have you changed jobs? Update your information online or email us at alumni@ccp.edu so we can continue to stay connected with you and keep you informed about all the exciting things happening at Community College of Philadelphia. Join the Alumni Association Now! Interested in joining the Alumni Association? Already a part of the Alumni Association and want to find out what new benefits we offer? To help you conquer your tasks and enjoy exclusive alumni savings, check out the discounts and special offers on the latest Dell PCs, electronics and accessories. Visit www.dell.com/dellu/ccp. Offers alumni discounts on etickets (print and go). Visit www.dorneypark.com/ccpedu to view the College's available discounts. Join us for the Community College of Philadelphia Alumni Day at Hersheypark on June 11, 2016. Admission include The Boardwalk, Hersheypark and ZooAmerica for just $15.00. 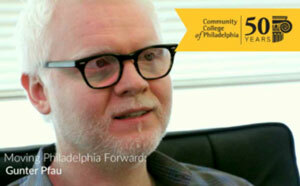 Visit http://tinyurl.com/CCPAlumni and use promo code 21416. To learn more about Liberty Mutual Auto and Home Insurance discounts or get a free, no-obligation quote, call 1-888-915-1100 or visit libertymutual.com/ccpalumni. Two beachfront waterparks, three action-packed amusement piers, more than 100 rides and attractions, and countless family memories! Savings are simply a click away by visiting www.moreyspiers.com/corporatepartner to view discounted packages with the ID CCP. Purchase Sixers tickets and save off of the gate price with a special alumni discount. Please visit www.sixers.com/promo and enter code CCPAlumni. Log on to the Six Flags site to buy tickets with substantial savings off the main gate price. This online benefit program allows you to print and go, so there is no waiting in line. To access tickets, visit www.sixflags.com/greatadventure and log in with the username ccpga and password SixFlags1 (case sensitive). Whenever Mary Conway gets the chance, she shamelessly talks to her classes about a former student who is now the White House Social Secretary. 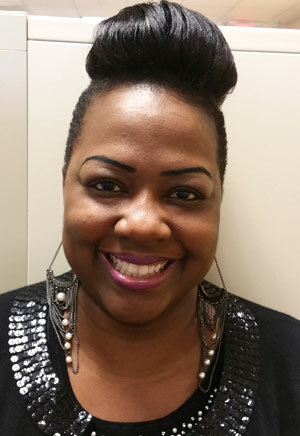 "I see her as a self-made woman," the associate professor of English said, in regard to Deesha Dyer. “I tell every class about her. I think sometimes they don’t imagine their futures, and they can’t see that place of where she is from where they are, and I think it’s good for me to remind them.” Read more. Vice President Joe Biden and Dr. Jill Biden, the Second Lady and a teacher at a Virginia community college, visited the College April 25 to discuss their initiative for free college tuition. The program provides $100 million in grants to expand job-training partnerships at community colleges. 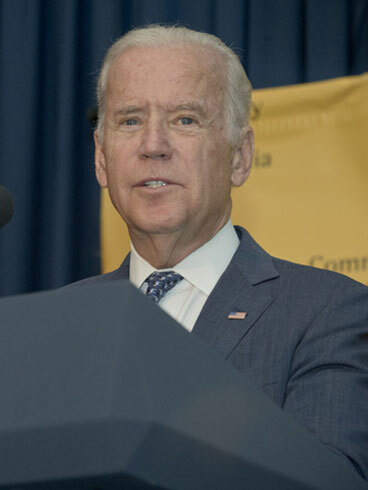 Vice President Biden said the program is designed to extend free tuition programs like the one at Community College of Philadelphia. Read more. A microbiologist whose research may one day allow doctors to match medical care to an individual’s genetic code, Dr. Karen E. Nelson’s groundbreaking research has had a global impact—and it could change how people live their lives.